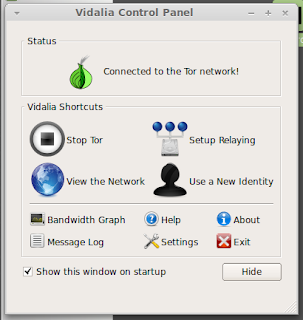 Seeing that my Tor installation and use blog was very popular across the web, please find below a simple method to make it running without any fuss. Go to Tor download (open this link in a new tab otherwise you know what will happen) and scroll down to Linux/Unix section. Then click on download link depending upon whether your system is 32bit or 64bit. After the download the file will be like as below. Double clicking the archive will open like as below. 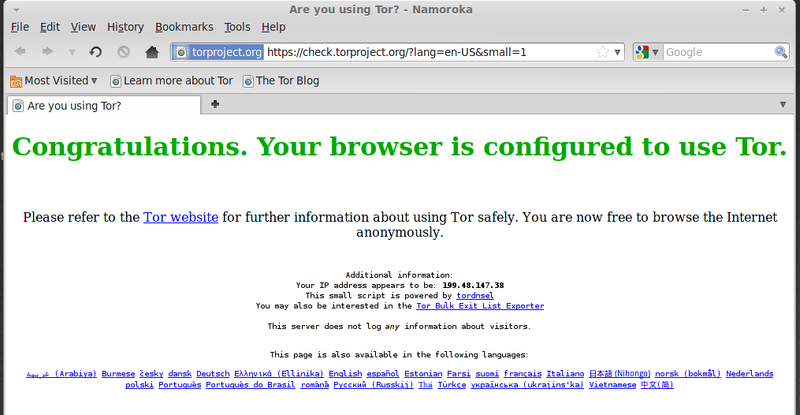 Drag and Drop the "tor-browser_en-US" folder to the desktop as below. Double click start-tor-browser and you you will see a windows as below. Click Run and a windows will open as below. Immediately after the above window a browser window will open as below and you are done. Congrats and welcome to anonymous browsing. Please put a comment on your experience so that it will help me, you and every body who sees this blog. Works well, just slow browsing at times due to not enough Tor relays. I was excited to find this... but it didn't work for me. I'm running the latest Mint 10 and Firefox 3.6.13. My problem is that after clicking "Run" the Vidalia Control Panel does not come up. Any thought as to why?? Hope you are running LM 10 32 bit. Does it ask the "Run in Terminal etc.. In that screen you have to select "Run". The definitely the control panel will come. Thank you for this. I followed your instructions and everything went well. I'm using Linux Mint 2.6.35-22-generic (i686) and Firefox 3.6.3.